For Christmas my girlfriend bought me a Flexaret VI TLR camera. A TLR is one of those designs that are delightfully old fashioned but actually very effective. 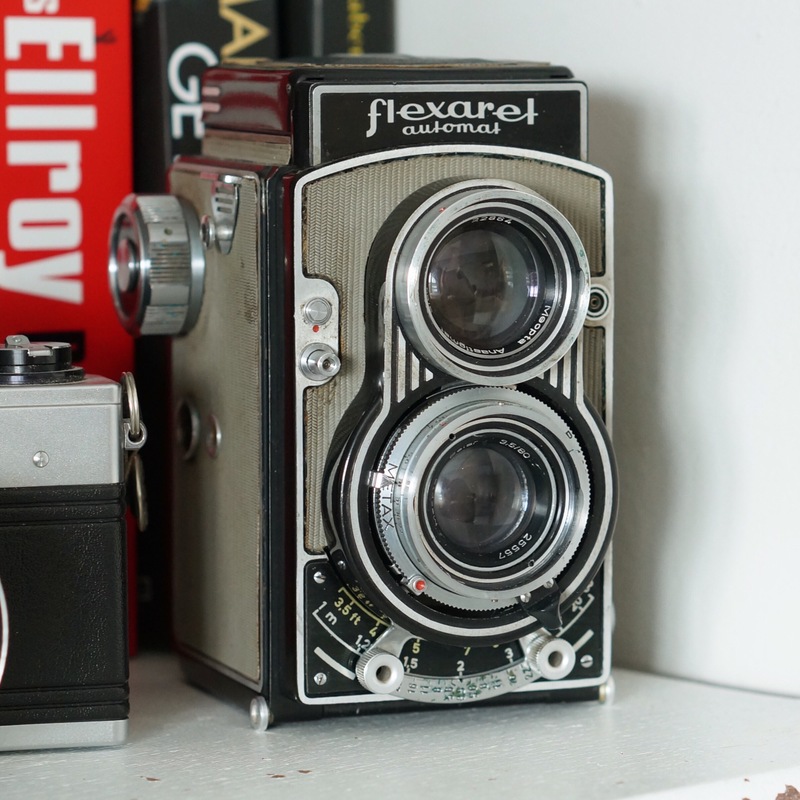 They are also instantly recognisable as an old camera. TLR stands for Twin Lens Reflex, as opposed to SLR, which is Single Lens Reflex. The difference, as the name would suggest, is that the TLR has two lenses as opposed to one. The top lens is there purely for the viewfinder and the bottom one is used to take the picture. This produces a camera with significantly fewer moving parts than a single lens reflex camera, despite the extra lens. On a SLR camera, you look directly through the lens that is taking the image. This is done by placing a mirror into the path of the light, behind the lens. A prism is then used to reflect the image back into the viewfinder. When you press the shutter release button to take the picture, the mirror must first get out of the way before the shutter can open and let light through and onto the film, or in more modern SLR cameras, the digital sensor. The mechanism used to move the mirror must be very fast, so that there is little lag between when the shutter release is triggered and when the picture is taken. It must also be very reliable and move the mirror back to the correct position after the shot is taken. The process of the mirror moving is why the viewfinder goes dark when you take a picture on a SLR camera. So, how does a TLR differ? 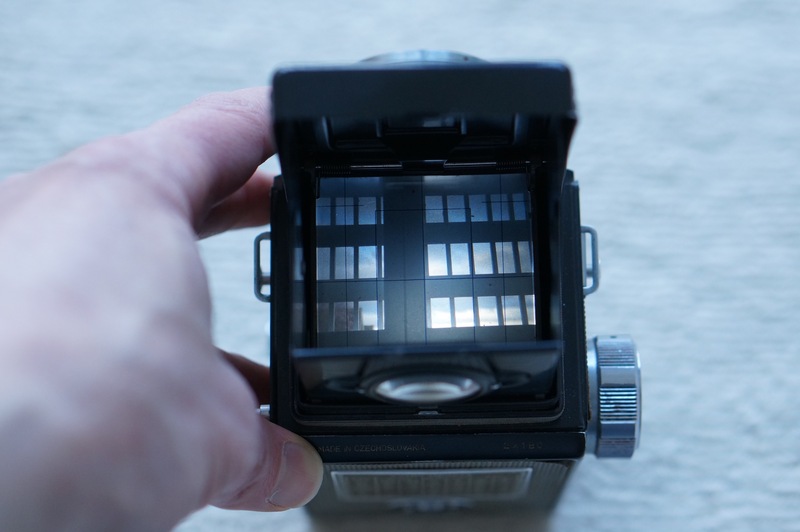 Because there are two lenses, the mirror does not have to move out of the way to allow light to pass onto the film, so the mirror on a TLR is static. The complication here though is that the focus on both lenses has to change when you move the focus adjustment, so that the image taken by the shooting lens is the same as the viewfinder lens. Various TLR manufacturers approach this in different ways. On the Flexaret, both lenses are mounted to the same plate, so they move in unison. The viewfinder is a waist level style finder, so you don’t put your eye up to the camera, it’s more like a modern digital camera with live view, except that the finder is on the top of the camera and the images are shown as a mirror image. This does make framing your image a very definite process! One of the downsides of the TLR design is that you can’t usually change the lens, because you’d have to change two of them. So, the Flexaret is fixed at 85mm, which sounds like quite a long lens, until you realise that it uses 120 film, with negatives that are 60mm square as opposed to 35mm film, which is 35x26mm. So, 85mm is actually quite usable. I’ve not worked it out exactly, but looking at the images, I’d say it’s about the same as the 50mm lens on my Olympus 35mm film SLR, or maybe even a bit wider as far as field of view is concerned. Of course, it still behaves like an 85mm lens as far as the lack of distortion and depth of focus is concerned. This is why medium format is so good! Additionally, the larger negative gives a higher resolution and sharper images, at least it would if the two lenses were set correctly. 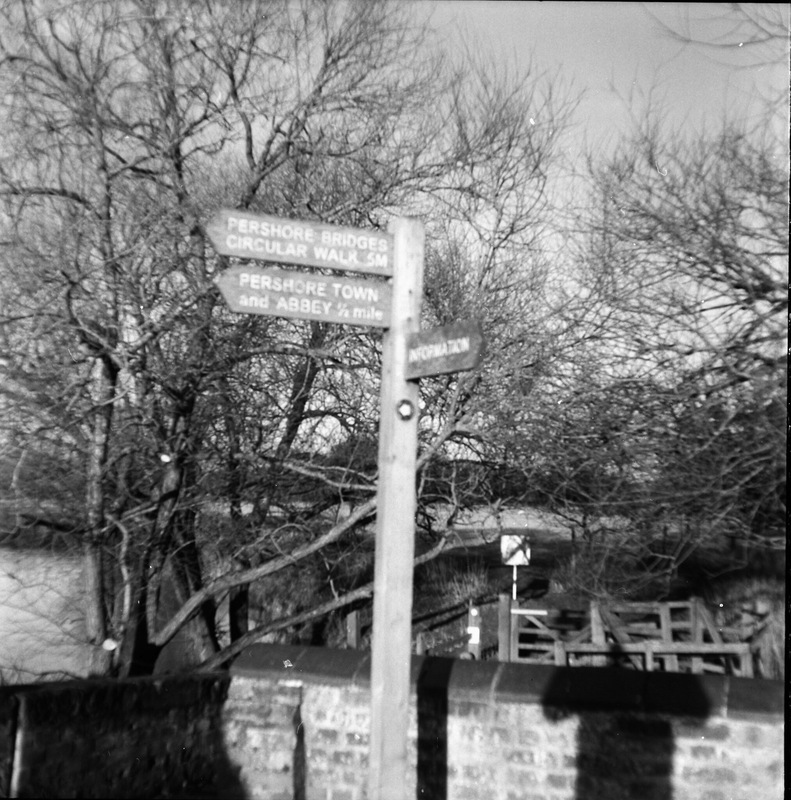 Unfortunately, it looks like my particular Flexaret has been played with at some point and the lens has been replaced. When this is done, the top and bottom lens must be adjusted so that they focus on the same point, otherwise you have no way of knowing what you have focussed on. So, all of the images off my first roll of film look like this. My research leads me to believe that this can be adjusted, but I can’t work out how to do this just yet. Hopefully I’ll be able to work it out and use this lovely old camera.